Ruby Hunter captures the essence of adventure in this expedition themed 6-column, 5-row game from Kalamba Games. Wilds lurk round every corner as you venture out on a quest for Rubies in this highly volatile, 3600 ways pays adventure. 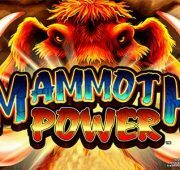 Land 3 or more Temple Symbols to trigger Free Spins and open the gates to a wealth of possibility. 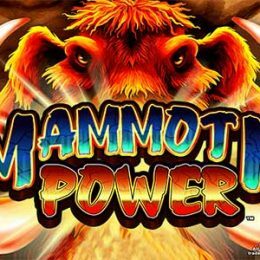 Landing 3 or more Ruby Jackpot symbols lock and trigger a re-spin in the Free Spins Bonus Feature in the pursuit of Gold, Silver or Platinum Jackpots and 3608x bet max payout. 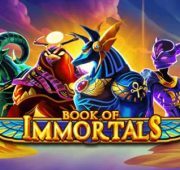 Free spins continue to be awarded with any combination of 3 or more Temple Symbols for extended gameplay in the reward filled Bonus Feature. HyperBonus is back *by* popular demand with 4 levels of *the* special bet buy-in feature to shortcut players into the opportunity filled Free Spins rounds. 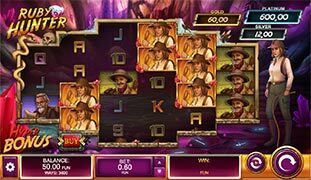 Wild Symbol – The wild symbol substitutes for all other symbols in the game except the Bonus Trigger symbol and Jackpot Symbol. 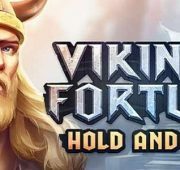 Free Spins Bonus – Land 3, 4, 5 or 6 bonus trigger symbols in any position to earn 8, 12, 15 or 20 free spins respectively. 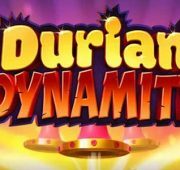 Bonus Jackpots and Re-Spins Feature – During the Free Spins, 3 or more Jackpot symbols appearing scattered in any position initiates the re-spins feature. When the re-spins feature is triggered, you are awarded all ways pays from the free spin that triggered the re-spin, and 1 re-spin with all jackpot symbols locked. The game has three jackpot levels: Silver, Gold and Platinum. When you win a bonus jackpot, you are awarded the value displayed on the interface for the level of jackpot won at the time that it is won. Buy Free Spins Feature – You may select one of 4 betting options to enter the Free Spins bonus directly by pressing the “buy” button on the interface and selecting the desired Free Spins option. 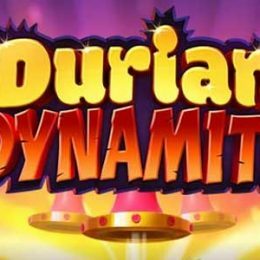 Choose to trigger a free spins bonus with 8, 12, 15 or 20 initial spins and the bet required for each option is displayed with the option.